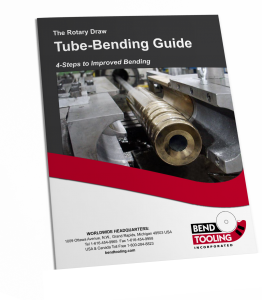 The line separating the regions of compression (intrados) and elongation (extrados) of the tube wall during the bending process. Because the intrados and extrados extend into the leading and trailing tangents of a bend, so does the neutral axis which widens into an inactive zone at these extremes. Contrary to common misconception, the neutral axis is not the centerline radius, which is a geometric entity. The neutral axis lies inboard of the centerline radius.